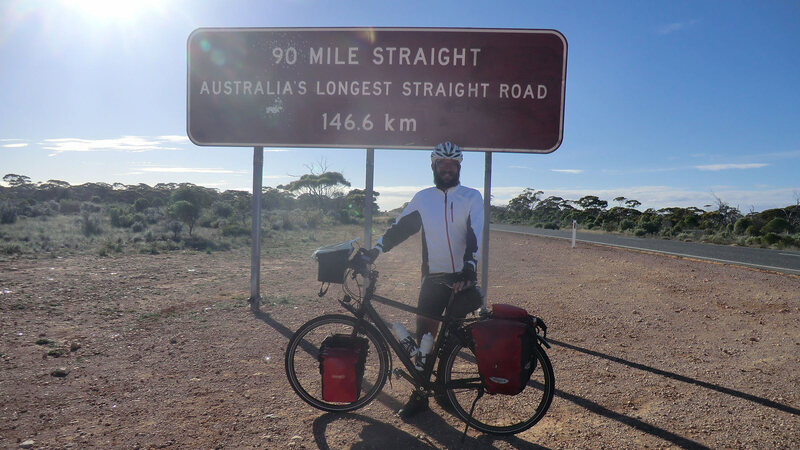 On a solo mission, away from family and friends, covering 16,000 kilometers by bicycle around Australia. Who exactly is Frank Rickus? The 45-year-old from the Hunsrueck region of Germany doesn’t appear at first as an adventurer. He’s down-to-earth, a shift worker, a local politician, and suffers with asthma. However, the mayor from Mannebach possesses a second soul—the one of an explorer, a flamboyant fun-loving guy who likes to push all elements of adventure. 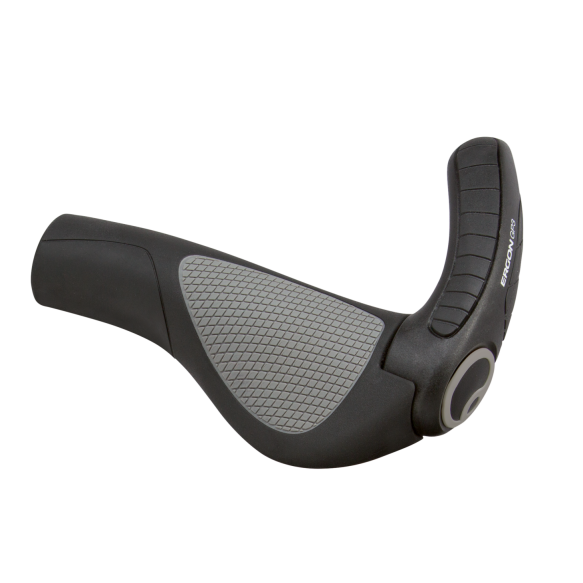 Frank is an ordinary guy, but periodically he needs to break out of his hectic everyday life to ride his body and mind back to health. This commonly leads him to find himself alone in distant locations, far away from big cities and crowds. His most recent goal? To tour around Australia. The tour becomes about the journey and the transformations in which he lives through, both physically and mentally. Frank works in long shifts and is barely able to prepare for the efforts his journey will require. This is precisely why the equipment needs to be perfect and well thought out. 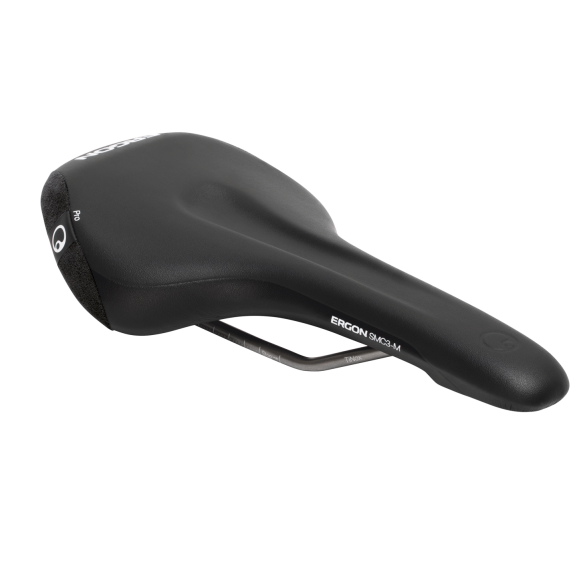 He chose the Ergon SMC3 saddle and GP3 grip. Both straightforward products which won’t give him any problems during his lengthy travels. 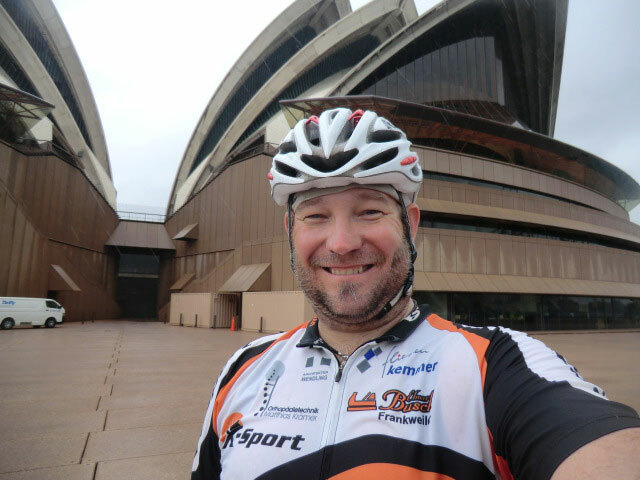 A mandatory ‘Selfie’ in front of the Sydney Opera House kicks off his journey. Many wild animals live in Australia, and they can quickly become dangerous. That is not the only risk in the Australian outback. Frank has more respect and caution for the fast moving semi-trucks. 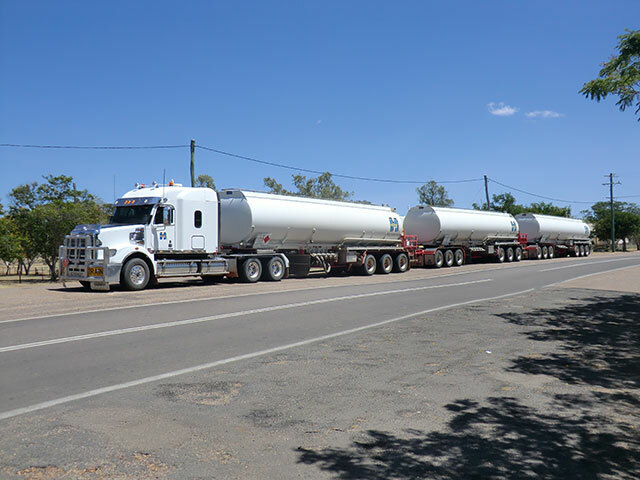 These excessively long trucks rush past without slowing down. 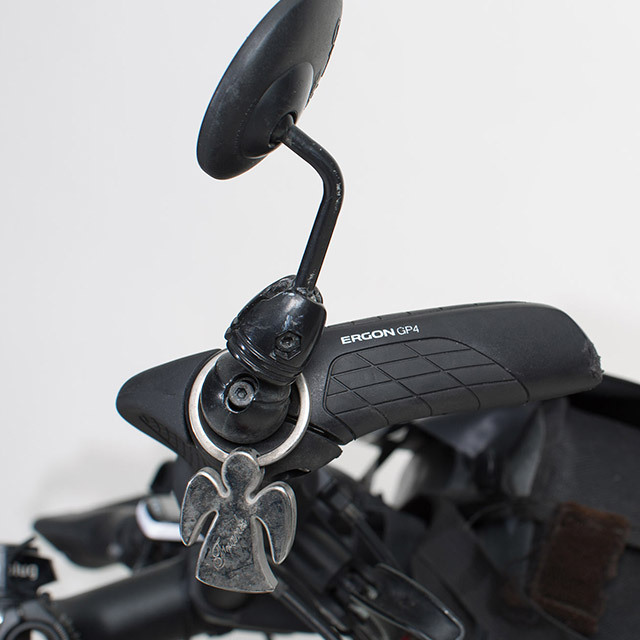 To help stay safe, one of the most important parts of his bicycle is a small rear-view mirror, in which he can see the fast oncoming giants early on. 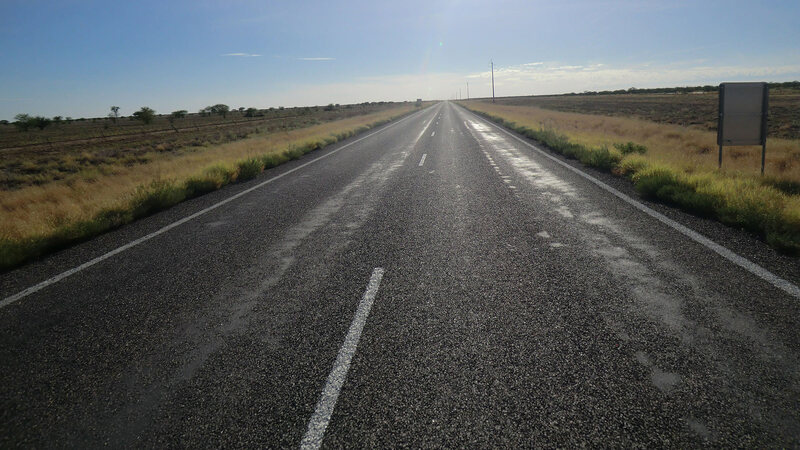 The roads are seemingly endless in the outback. As if in a trance, Frank would ride for hours in one direction, without any curves or obstacles. 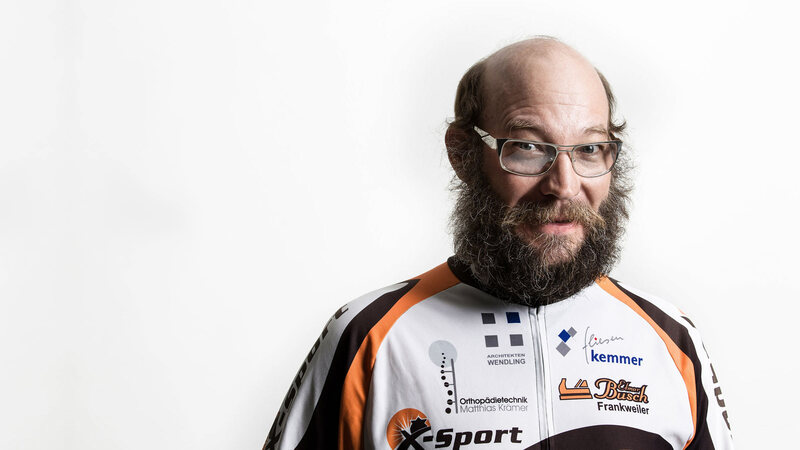 Frank‘s first big bike tour in 1997 led him to the North Cape. The asthmatic had barely 30% of his lung function at the time. “A lot of people thought I was crazy and said: You will never make it! As a typical Leo, I have the required bullhead stubbornness to tackle such tours.” In the end, it was all worth it. 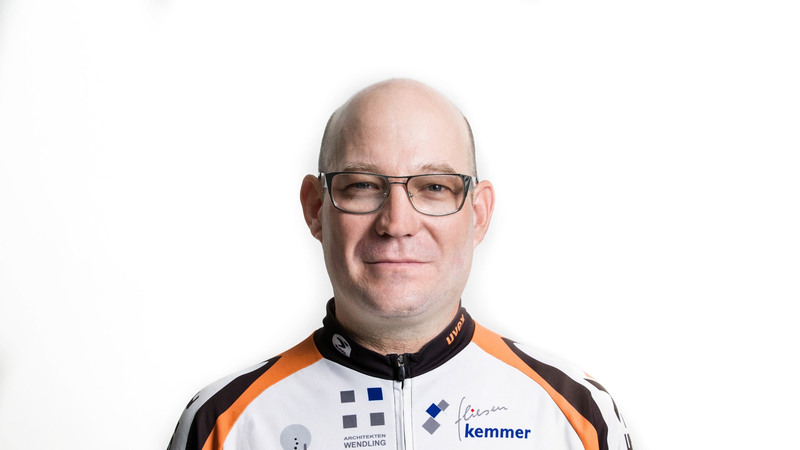 Frank was a new human as if he was reborn: “Not only my lung function tremendously improved during my bike tour. Everything feels easier, I feel like I can fly. I’m also always losing weight,” grins the now 41-year-old. 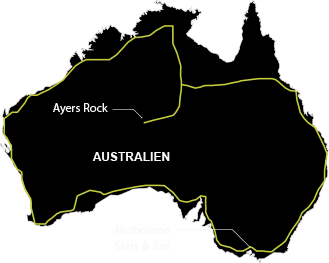 When he reaches the iconic Australian landmark, Ayers Rock, his odometer reads 8,000 kilometers. This marks the half-way point of his trip. 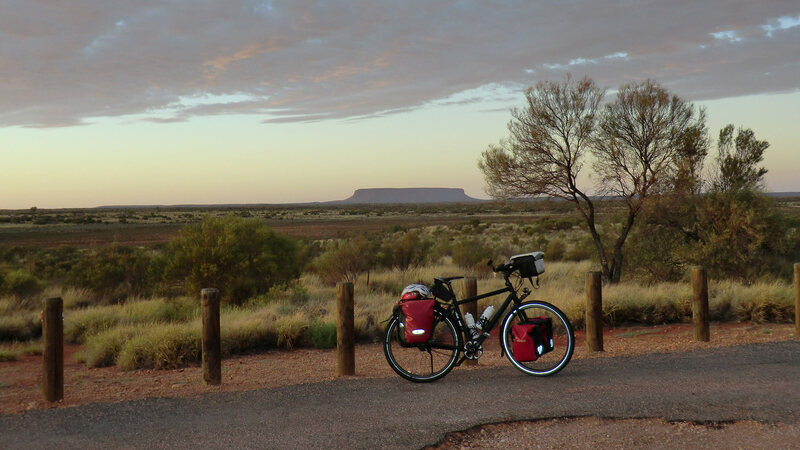 Frank doesn‘t see a town with a bike shop for days, so his equipment doesn‘t have the option to breakdown in the outback. He only trusts the components he already tested during earlier trips. 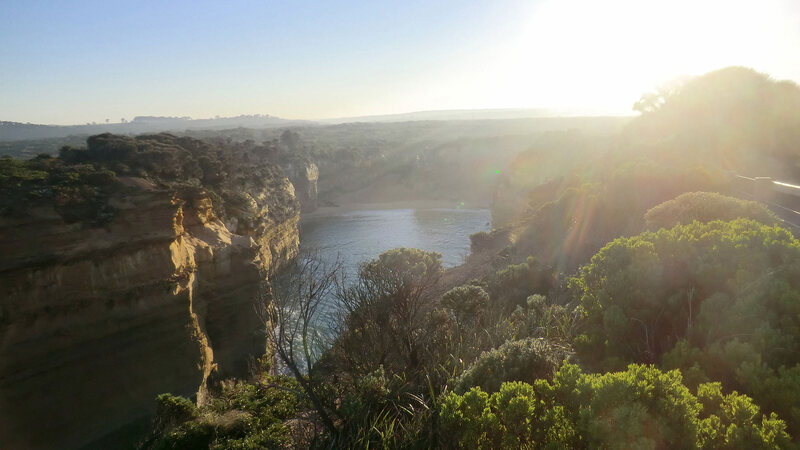 The risk of getting stranded in the Australian outback is too great. 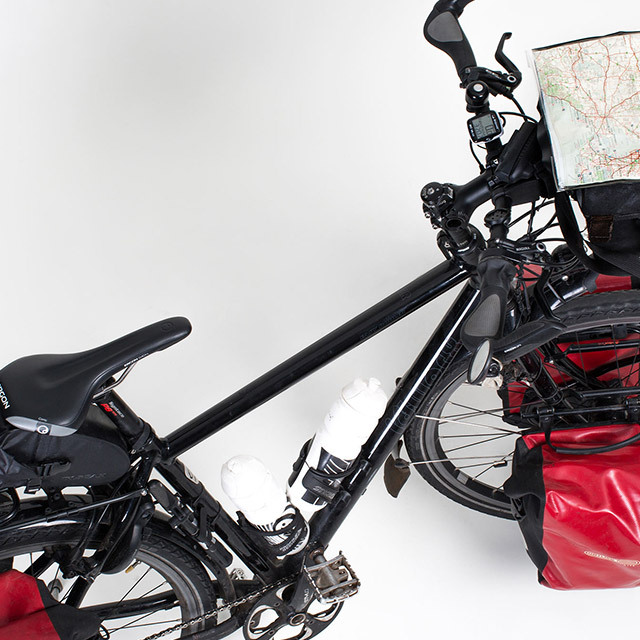 The bike has to endure a lot while traveling the harsh kilometers, including carrying 30 liters of water on his trekking bike. 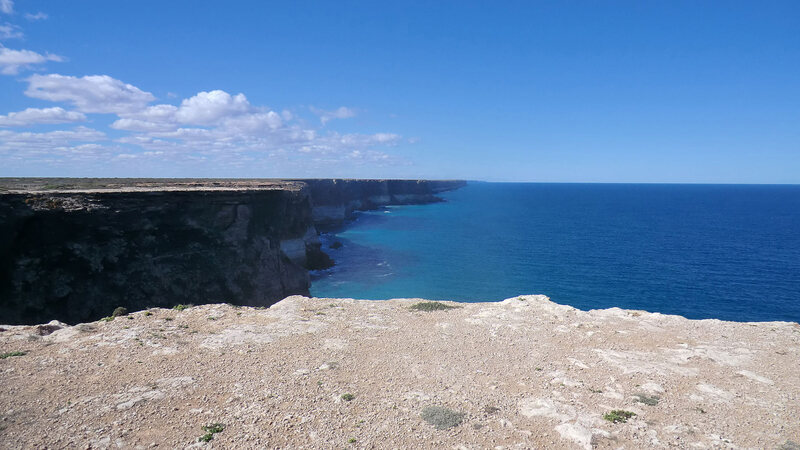 These are the moments Frank is searching for on his trips, and he does find in the outback. 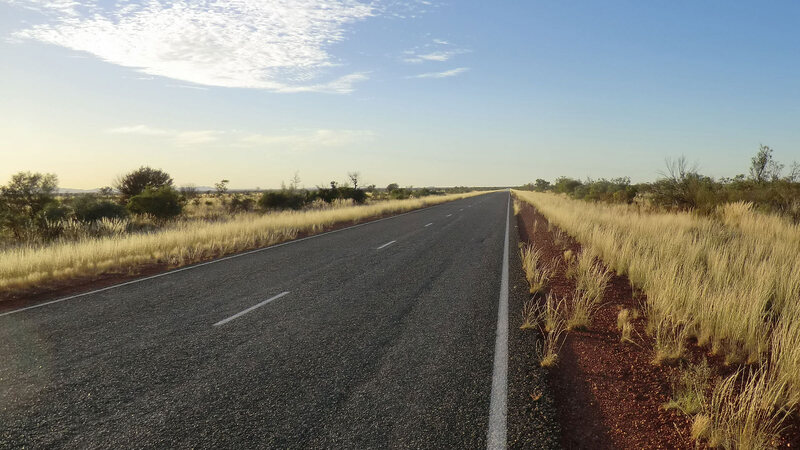 Many people would feel isolated and lost at a place like the outback, but Frank draws strength from this vast expansiveness. Upon returning to Melbourne, a completely new person stood at the exact same spot where he started 4 months ago. The calm, clean-shaven, somewhat chubby average guy turned into a fit, athletic swashbuckler with a shaggy beard. It‘s not only your appearance that changes during this kind of tour: “The monotony of the endless roads, the tranquility, and the solitude had a meditative effect on me. I found myself partly in a dream and I could completely turn off my brain. You develop a completely different sense of time and place“. This is why he always needs awhile to reintegrate himself into “normal life“. “An internal unrest follows me the first two to three weeks“, admits Rickus. “Externally, it happens much quicker. 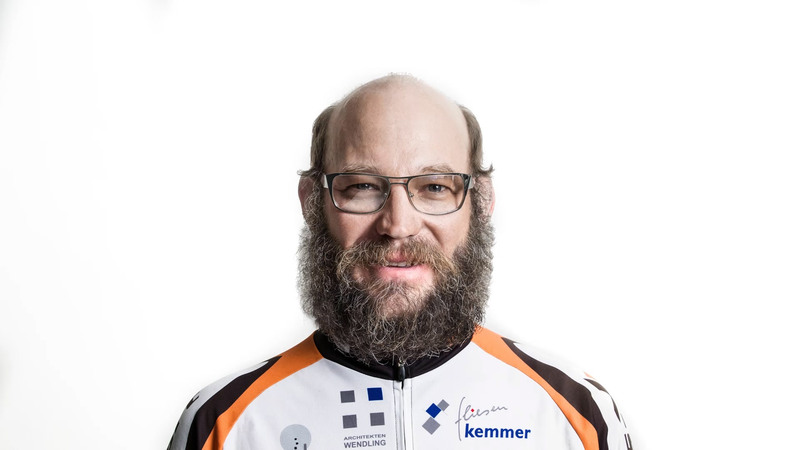 The beard leaves, but my significant other wants me to keep it!“ This is how the adventurous biker turns into the Mayor of Mannebach within a few minutes—at least visually. 1997: Mannebach—North Cape and back. 1998: USA—Route 66 and the West Coast up to Seattle. 2007: Transasia—along the Silk Road from Xian in China via Kazakhstan, Russia, Ukraine, Poland, Czech back to Mannebach. 2009: South America—from Columbia to Tierra del Fuego 10,700 km trough Columbia, Ecuador, Peru, Chile and Argentina.